With rich green to very dark green foliage and bright daisy like flowers in mid to late summer Ligularia are eye catching. The actual colour of the foliage differs from species to species, green through to purple. Flowers are usually a golden yellow. Ligularia die right back in the winter. Ligularia ‘Britt-Marie Crawford’ has dark chocolate – purple foliage and contrasting bright yellow – orange flowers. Ligularia veitchiana has nice light green foliage and yellow flowers. L. japonica ‘Giganteum’ – Very large rounded foliage shaped a little like an old fashioned tractor seat. Yellow flowers on a tall stem are not as profuse as some others but still attractive. 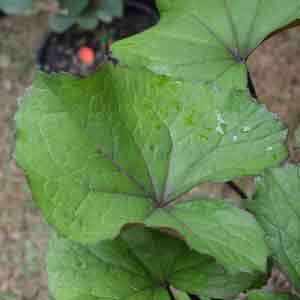 L. japonica ‘Chinese Dragon’ – Cut leaf or dissected foliage which is very attractive. Yellow flowers. L. denata – Green to bronze foliage, heart shaped with serrated edges. Yellow flowers on crimson stems. L. przewalskii – Good yellow flower spikes above the foliage. L. reniformis – Also known as the ‘Tractor Seat Plant’, very glossy green foliage. Ligularia are a group of clump forming perennials that do well in semi shade, humus rich moist soil is great for all species. Some species require more moisture than others, however most can be grown in a moisture retentive soil in part shade. Many thrive beside ponds and very damp soils. 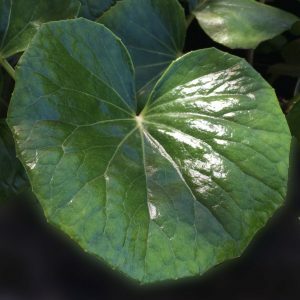 These are a plant that require moisture to grow well, they thrive on the edges of ponds or in soils that are improved with humus and some coir peat to improve moisture retention. Afternoon shade is essential. Growing to 60cm and taller to almost 2m, the taller Ligularia species are great at the back of the border.